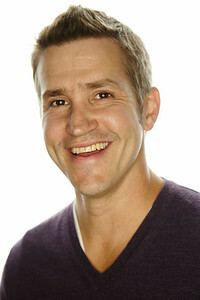 Nashville, TN– New York Times bestselling author Jon Acuff is scheduled to speak at the NRB Digital Media Summit on February 22, 2016 – one day prior to the opening of Proclaim 16, the NRB International Christian Media Convention, in Nashville, TN. Jon Acuff is the New York Times bestselling author of five books, including his most recent, Do Over: Rescue Monday, Reinvent Your Work and Never Get Stuck. For 17 years Acuff has helped some of the biggest brands in the world tell their story, including The Home Depot, Bose, Staples, and the Dave Ramsey Team. Most recently he’s addressed hundreds of thousands of people across the country at events for companies such as Microsoft, Whirlpool, and Comedy Central. In addition, Acuff is a big proponent of social media, with blogs that have been read by four million people, and with a Twitter account followed by more than 265,000. Acuff will be one of several speakers at the third annual NRB Digital Media Summit, a one-day pre-Convention event that features industry experts and leaders from some of the Internet’s hottest organizations. Representatives from LifeChurch.tv, Christianity Today, Facebook, and more will be at the event to share best practices and future trends on everything you need to know regarding the intersection of media and ministry. Proclaim, the annual NRB International Christian Media Convention, is the largest nationally and internationally recognized event dedicated solely to assist those in the field of Christian communications. The dynamic Exposition consists of around 200 companies and is an active marketplace for those seeking tools and services to expand their organizations. Also on the Expo floor will be a 20,000-square-foot museum presented by Museum of the Bible. Proclaim 16 will be held at the Gaylord Opryland Resort and Convention Center in Nashville, TN, February 23-26, 2016. The NRB Digital Media Summit, a pre-Convention event, will be held on February 22, 2016. Other summits that will take place during the week of Proclaim 16 include the Radio Summit, TV Summit, Church Media Summit, International Summit, Film & Entertainment Summit, and Donor Development Summit. There will also be a special Pastors Track. For more information, go to www.nrbconvention.org.